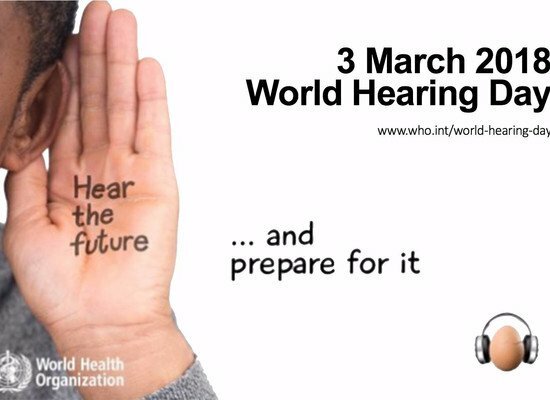 On March 3, for World Hearing Day 2018, the World Health Organization (WHO) will draw attention towards the rise in the number of people with hearing loss across the world with the theme “Hear the future”. The WHO calls on everybody to take action to stem the increase of hearing loss through preventive efforts and to help ensure that people with hearing loss have access to rehabilitation and hearing solutions. We share tips for everybody to contribute. The Hear the World Foundation – an initiative of Sonova, the leading provider of hearing solutions, has been supporting people in need with hearing loss all around the world for more than 10 years with activities for prevention and treatment of hearing loss. Since its establishment, the foundation has all in all supported more than 80 aid projects, enabling thousands of people in need to hear better.